When you find a friend or family member struggling with illness or tragedy, what is your instinct? Most likely you ask them what you can do to help. Thousands of patients both young and old are fighting leukemia and other blood related diseases. Relatives often are your best chance for a match, but if it’s not a match then you need to search for a donor. These patients and their families rely on blood and bone marrow donations to save their lives. Time is critical. I met Gregg Madsen, a young, vibrant and athletic father of two, at a golf outing. He reached out to me again after being diagnosed with Chronic Lymphocytic Leukemia (CLL), a typically slow growing cancer found in older individuals. After several rounds of chemotherapy, it was determined by his doctors that he needed a bone marrow transplant to survive. After finding out that Gregg’s three siblings were not a match, they turned to Be The Match Marrow Registry (www.marrow.org) for help. 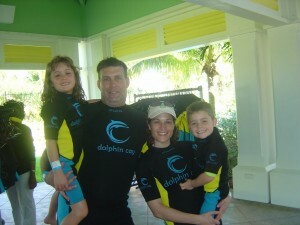 Gregg and his family feel lucky that he found an unrelated donor that worked. Now, he asks just one thing from all of us and that is to spread the word about the importance of joining the Be The Match Marrow Registry. So what can you do to help Gregg and many other like him? Please join us at a blood and bone marrow drive on Monday, May 17 from 11:00 am – 7:00 pm at the Holiday Inn Mansfield/Foxboro, 31 Hampshire Street, Mansfield, MA. For more details, please visit https://joeandruzzifoundation.org/wp/events. Thanks for saving a life!